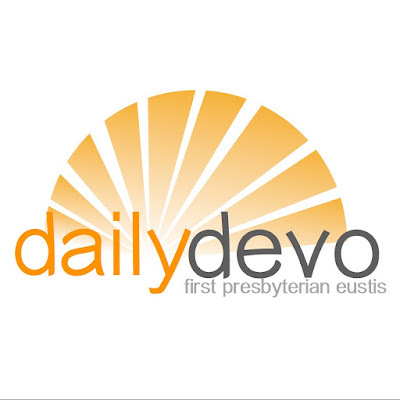 This week the daily devotions will be coming in a little later than usual! I am attending a preaching workshop in Colorado for continuing education, and am two hours behind my EST time zone! The Jesus I had always imagined myself following... The Jesus I thought I knew from Scripture... was a Jesus that believed exactly what I believed. This Jesus belonged to the same political party I did. This Jesus had the same notions about who was "in" and who was "out" that I did, too. In addition, this Jesus was very concerned about behavior, and following the rules. And this Jesus had no problem with my level of comfort when it came to following him. In his excellent new book The Jesus-Centered Life, Rick Lawrence writes, "I think we're now at a place where we're so comfortable with Jesus, so confident of who he is and what he's like, that a lot of 'what we know' is actually wrong." I have to agree. What I came to understand was the real Jesus was not at all like the Jesus I had constructed, the Jesus I claimed to be following. The real Jesus confounded my neat categories, and wasn't easily co-opted into political parties, theological camps or personal agendas. And further, I also came to realize that the real Jesus isn't trapped in the stories about him in the Bible. The real Jesus is risen. And this realization caused me no end of consternation, because to truly believe that Jesus is risen assumes that he isn't done. He isn't done saving those who are lost, lonely and afraid. He isn't done making all things new. He isn't done healing the sick. He just isn't done... not by a long shot. When Jesus breathed the words, "It is accomplished" on the cross, he wasn't denoting an ending, but a beginning. What I know so far is this... Jesus is Lord (of my life, and of all Creation). Jesus is the embodiment of God (because of him we know what God wants, what God is like). Jesus is risen (he is alive and still at work in the world in the Spirit). Jesus is the Way, the Truth & the Life (when we say we are Christians, we aren't signing on to a religion, we're following a person). May you discover Jesus today in all of the moments of your life. May you be surprised by him, and confounded by him. May Jesus destroy your neat little categories and turn your life upside down. And may the grace and peace of Jesus Christ be with you now and always. Amen.